Ina Tilton Friedt passed away August 1st, 2018 at the age of 93. She was born June 20, 1925 in Camas Hot Springs, MT to Albert & Adeline Ippisch. She grew up in Lonepine and graduated from Lonepine High School. Then she went to Seattle and worked at Boeing during the war effort. She was our "Rosie the Riveter". She moved back to Lonepine and married Frank Tilton. They moved to the Flathead Valley and started one of the first garbage services in the valley. They lived at Boorman, Evergreen, Olney and moved to Kila and raised their family there. Frank passed away in 1978. The Kila homestead still remains in the family. She married Albert Friedt in 1979. Al passed away in 2013. 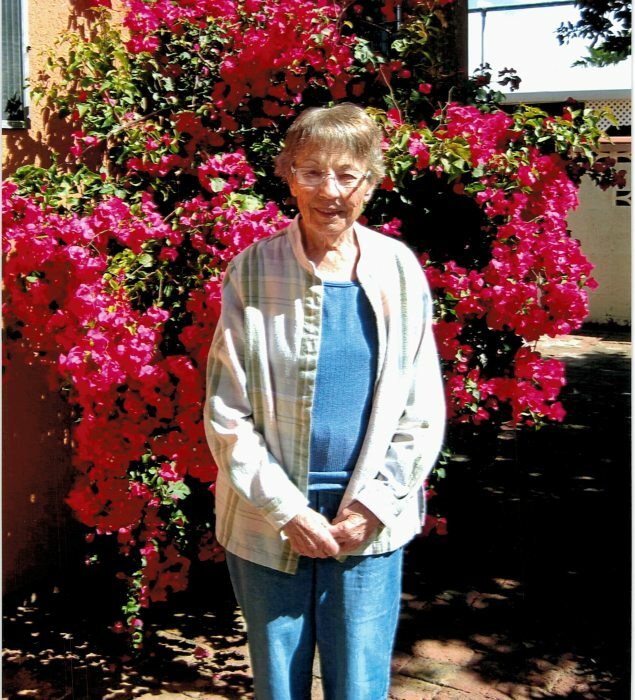 Ina enjoyed dancing, playing the accordian, piano, fiddle, jigsaw puzzles and family gatherings. She had a wicked sense of humor and a twinkle in her eye. She loved carpentry. She could tear down a wall and rebuild a house. She was happiest when she had a hammer and nails in her hand. Ina was preceded in death by her parents, Albert and Adeline Ippisch, brothers Charles, Lester and Jim, husbands' Frank Tilton and Albert Friedt. She is survived by children Deana (Tom) Hewitt, Custer, MT, Ritchie (Leona) Tilton, Columbia Falls, Nancy (Mick) Murphy, Kalispell, Edward (Lourell) Tilton, Columbia Falls and grandchildren Pansy Hewitt Morehouse, Daishia Hewitt Brosten, John Francis Jr, Greg Tilton, Annie Tilton, Susan Murphy Galbraith, Scott Murphy and 10 great-grandchildren. Services will be held at 2pm Tuesday, August 7th at Buffalo HIll Funeral Home with burial to follow at Glacier Memorial Gardens Cemetery. A reception will be held after the burial at Buffalo Hill Funeral Home. Friends and family are encourage to visit us at www.bhfuneralhome.com to leave a note of condolence for the family. Buffalo Hill Funeral Home is caring for the family.